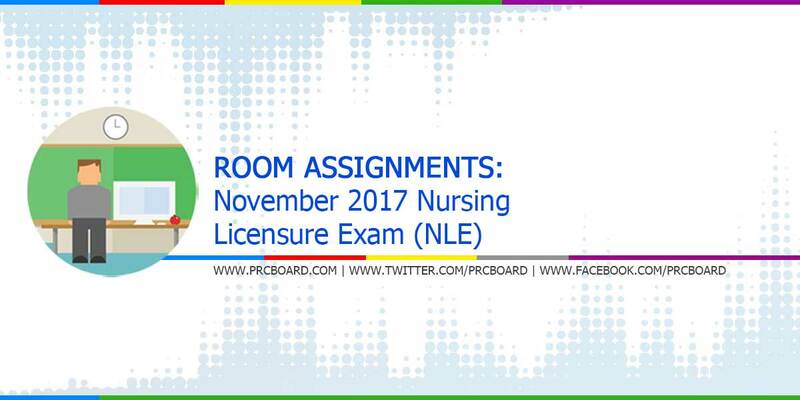 MANILA, Philippines - The Professional Regulation Commission (PRC) Board of Nursing released the November 2017 Nursing Licensure Exam (NLE) room assignments few days before the licensure exam. The board exam is scheduled to take place on November 25-26, 2017 at PRC testing centers in Manila, Zamboanga and all Regional offices nationwide. Nursing is one of the programs with huge number of examinees being administered by PRC. On the same exams conducted June 2017, 3,882 out of 11,176 examinees passed. During November 2016, 6,836 out of 14,322 examinees passed while on June 2016, 6,183 out of 14,184 board exam takers passed. To receive regular updates about November 2017 Nursing NLE board exam results as well as other related announcements, you may refer to our social media pages via Facebook and Twitter. wala pa po yung room assignment sa Cagayan? kailan po lalabas room sa manila. Antagal epost ang manila room assignment? Gang ngun wala pa! Wala pa rin ang davao!